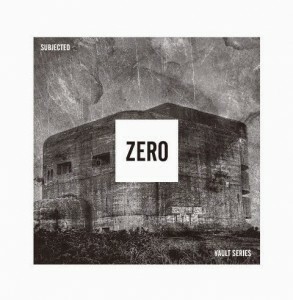 Dirty grey and menacing, the fortification stands there to unleash monochrome frenzy when Subjected meets with success the challenge of a techno album. “M” is a compulsory dark ambient introduction, preceding a set of pounding gear by the founder of Vault Series. Nothing else than noise and heavy bass can be expected from “Boom Boom”, an apt ruler of the floor and a highlight along “Tool 1”. No-nonsense digital package adding some weight to techno sets.